proto-Marvel had already shipped half of their comics for February: KID COLT OUTLAW #98, STRANGE TALES #84, TALES OF SUSPENSE #17 and TALES TO ASTONISH #19. 100% of those comics had Kirby/Ayers covers and 75% of them had 13 pages of interior Kirby art. 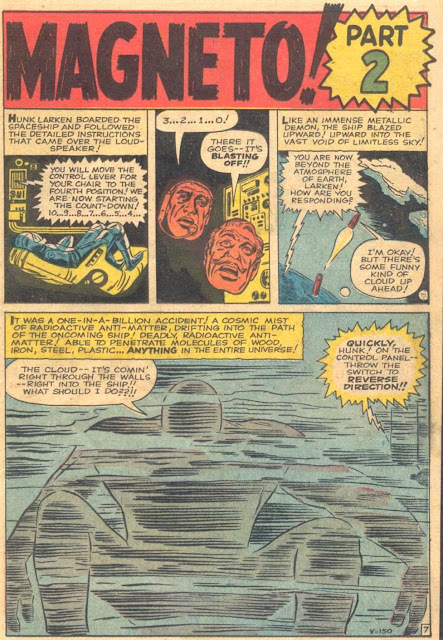 The origin of proto-Magneto (from STRANGE TALES #84) was about a year ahead of its time.